Texts & Pleasure: Short Story: "Sam & Dédé"
Short Story: "Sam & Dédé"
Boris gripped the hammer with calloused fingers and drove another nail into the roof’s cobalt blue shingling. Sweat pearled down his forehead and tickled his eyebrows. From his vantage, he could see nearly the entire town of Ussy-sur-Marne, and beyond that, the road that led three kilometres north to his home in Molien. “We’ll be up here for some time,” said his brother-in-law Achym, who knelt and tapped at the roof alongside him. Boris shrugged. Achym parted his lips to speak again, but the sound of an approaching motor drew his eyes to the road. Boris turned with him and spied a grey pickup truck approaching the site, its flatbed filled with oak boards, drills, and a clattering toolbox. The workers on the ground circled the truck as it pulled into the driveway. Achym edged toward the ladder that leaned against the cottage’s façade. After watching him disappear over the roof, Boris glanced down to a nail that was pinched between his fingers, and drove it before moving to the ladder himself. On the ground, a group of labourers had clustered around the cottage’s owner. The man’s hair was streaked with grey and cut closely to the sides of his head. On top, it was long and spiky – a colourless pineapple. Boris could tell that beneath the man’s white shirt and navy blue suspenders, he was very, very thin. The cottage’s owner shook hands with the workers, greeting each of them with a rapid succession of personal questions. The men, however, soon learned to parry his manoeuvres and jabbed him with their own queries whenever he paused for breath. Achym asked him about Waiting for Godot and Murphy. Only the inflection of his voice told Boris that these were the titles of books. The famous writer responded to all of these questions with a wan shrug. When he had greeted every other man on the site, the writer stepped toward Boris and offered his hand. “The roof is nearly finished,” Boris said. The comment instantly rekindled the man’s features. “Do you approve of the colour?” he asked. “I have never tried it myself,” Boris said, “but I have heard people say that the water is agreeable.” He noticed that the other workers were skulking back to work. Except for Achym, who lingered at his side. Boris told Monsieur Beckett that his two eldest daughters, Bilyana and Hristina, had finished their schooling and were living with relatives in the nearby town of La Ferté-sous-Jouarre. His fourth child, Rayna, attended school in Ussy and travelled there by bus. “And what of your third child?” Beckett asked, catching the omission. After a brief pause, Boris told Monsieur Beckett of André – or Dédé, as the family called him. The boy had a condition of some kind. He was only eleven years old, but stood six-and-a-half feet tall and weighed more than a small barn. Two weeks earlier, district officials had told Boris that “little” Dédé was no longer allowed to ride Molien’s only school bus. They said the boy did not know how to control his girth around his smaller schoolmates, and reminded Boris that the gravel road to Ussy contained more than half a dozen sharp corners. The news had struck Dédé like a slap across the face, but Boris did not utter a word of protest. His son had been dealt a strange lot, and there was little to be gained by causing further annoyance on his behalf. Throughout the explanation, a look of wonder drew Monsieur Beckett’s ears backward. After Boris had finished, the two men became silent and dropped their eyes to the earth. Boris was astounded, and considered the offer slowly. Frankly, he had not thought it a terrible shame that his son, who had been a great help around the farm these past two weeks, might do away with school altogether. But he could not motivate himself to resist the new direction that Beckett had given to their conversation. It was soon settled that every morning, Monsieur Beckett would come to the Roussimoffs’ home in his truck and take Dédé to school. Boris thanked the man for his generosity, and Beckett thanked Boris for his work on the cottage before he returned to his vehicle. Boris glanced to his right to find Achym still standing beside him. “Yes, it’s incredible,” he answered as Beckett’s truck pulled away. After a slight hesitation, Boris shrugged and turned back toward the cottage. Thursday. A leaden sky hovered over the French hamlet of Molien, glowing with the sort of luminous grey that stings the eyes. Boris stood in his front yard, hands buried in the pockets of his overalls. He peered in the direction of Ussy-sur-Marne, seeing no sign of the dust that would indicate an approaching car. A much larger man, standing nearer the road, glanced back at him. A crop of gnarled, jet-black hair sat atop his head. His frame was muscular, his posture unencumbered. All in all, he struck the pose of a man nearing thirty. Except for his face, for no man had skin so smooth. Not with such a thick nose and brow. Dust rose in the distant air as Monsieur Beckett’s truck came into view. Boris stepped to his son’s side as the grey pickup pulled into the Roussimoffs’ yard, its paint as ashen as the sky that loomed above it. 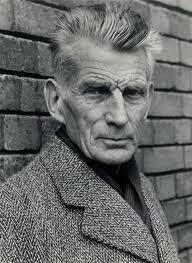 When Beckett stepped out of the vehicle, Dédé shifted from foot to foot, unsettled by the man’s grave and wiry figure. “Swims three times a day,” Boris said. Dédé nodded as his father shook hands with Monsieur Beckett. “How is Marion?” the man inquired. Sam took the man-child’s massive hand for only a moment, then turned back toward his truck. The writer opened the truck's passenger door for Dédé, and began to work at the seat, forcing it as far backward as possible. When finished, he straightened away from the vehicle. Dédé shrugged and moved to climb inside. He gripped the metal roof as he ducked through the door and pulled himself into a foetal position. Beckett entered from the other side and took a long look at the boy’s pose. “Is everything sufficient?” he asked. 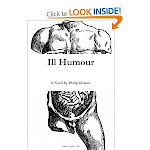 Dédé drew a seatbelt across his chest and nodded. Monsieur Beckett started the truck and pulled away from the Roussimoffs’ home. “Right fullback,” the man said. The repetition of this word left a wake of silence. Dédé glanced at the man, sensing a singularity of purpose in the way he peered through the windshield. “Mama says you were a hero in the war,” he said. “That was all boy scout stuff,” Beckett said. Dédé could see the man’s knuckles whiten against the steering wheel. The truck fell silent once more. Dédé lowered his eyes and pressed his feet into the truck’s floor until he heard its metal groaning. When he glanced back up, he found Monsieur Beckett staring at him with a deeply apologetic expression. Dédé held the man’s eyes for several seconds, and turned again to peer at the surrounding fields. “Your father tells me you’re a fine student,” said Beckett. Sensing derision in the girl’s voice, Dédé flushed with confusion. He glanced over his shoulder, but found that Monsieur Beckett was already pulling away. Boris bent in the wheat field, his scythe hissing through the golden strands. From the corner of his eye, he could see a male figure approaching. It had been several hours since Boris’ last drink of water, and it took him many seconds to work down a thick ball of saliva. He glanced at the tool in his hands and exhaled through his nose. When he lifted his eyes again, his chest tightened at the sight of Achym’s attentive stare. “And how does that concern me?” he asked. Boris laughed and spat into the soil. “Careful, Achym.” Boris raised his scythe and traced a deadly arc through the wheat. With a shake of his head, Achym stepped back and turned away. Boris gripped his scythe tightly, hoping he had managed to conceal the trembling in his hands. It was nearly suppertime when he passed his daughter Rayna and Baby Jacques playing behind their home. He entered the house through the back door. Inside, Monsieur Beckett was sitting with Marion at the kitchen table. Both were smoking. Boris could hear Dédé fumbling about in the front sitting room. Behind the famous man, Dédé stumbled into the front hallway, struggling to doff his collared school shirt. He pulled the white garment over his head, but neglected to unfasten the buttons that were shackling his wrists. Mr. Roussimoff stared at his son. He sighed as the boy failed to jerk his meaty hands through the sleeves. The shirt was inside out now. Dédé had no chance of freeing himself without pulling the whole thing back down and starting over. Wearied by the sight of him, Boris glanced toward Monsieur Becket. The man had twisted around in his chair, and was watching Dédé through a veil of blue smoke. Short Story: "Walrus and Seabird"